or eTag that records which checkpoints they visited and when. and download it into the computer when you finish. This allows us to give you a detailed breakdown of how you've done. 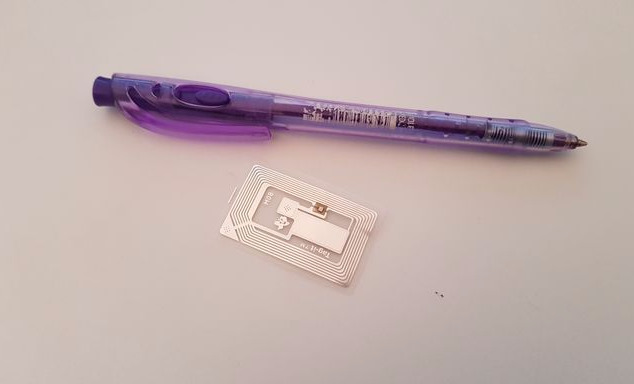 Inside the plastic lamination there's a tiny chip connected to a printed circuit antenna - it's called an RFID (Radio Frequency IDentification) chip. The chip has enough memory to record the last 64 controls that you have visited. To work best, the antenna needs to be close to the control. 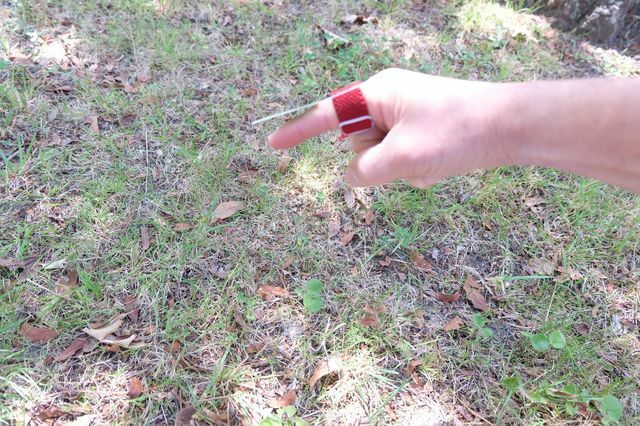 We find that putting the elastic strap well back on your index finger works best. See above. Underneath the centre of the red area, there is a tiny switch. Pressing the red button wakes up the control - so it can record the time and control number in your eTag's memory. 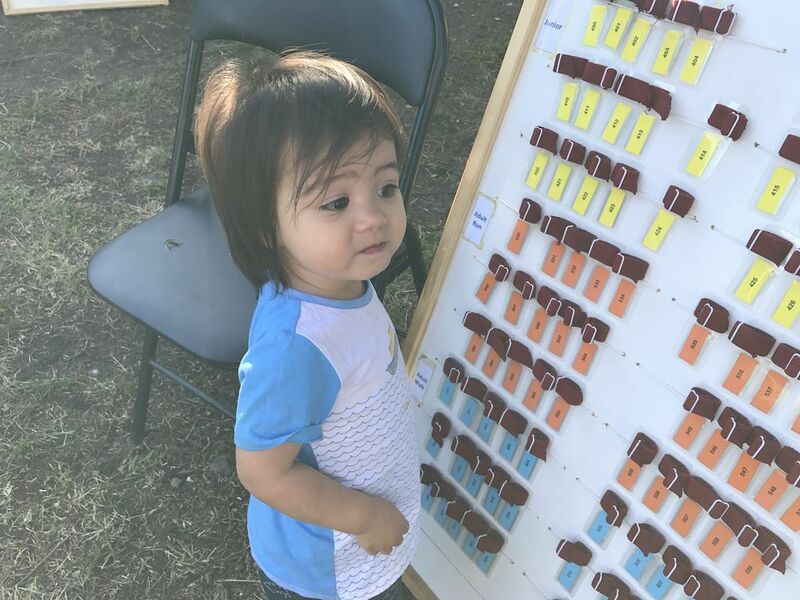 People that enter on the day are given a Visitor Tag. 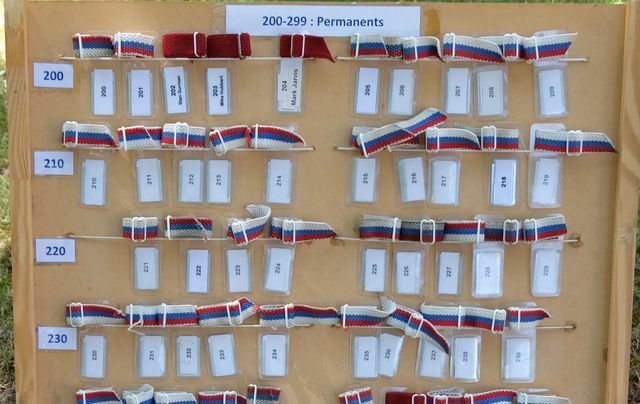 As shown here, Visitor Tags are colour coded - yellow for juniors, orange for adult runners and blue for adult walkers. The folks at registration will give you a similarly coloured slip on which you record your name and the tag number allocated. 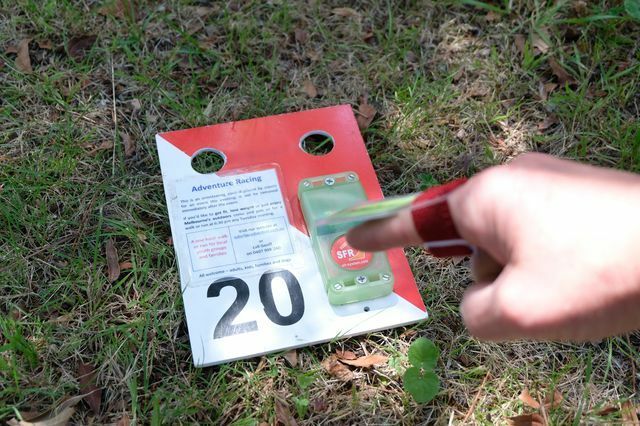 If you plan to come along more than once, please ask for a permanent tag - your registration fee covers the loan cost for a eTag for the entire season. 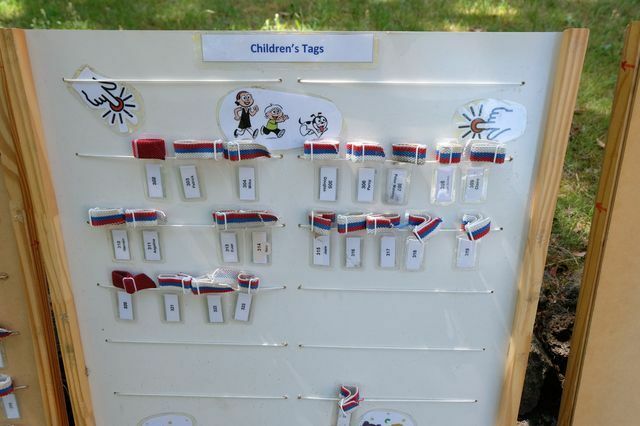 Permanent tags mean that you don't have to fill in paperwork each week - just grab your tag from the board and head to the start. Nice! Little kids that come regularly can get a permanent tag with their name and favourite cartoon character printed on it. It's a kid's series - we'll do whatever we can to make it special for them.